Dr Antony Hopkin is Bollywood Veggies’ voluntary education consultant and senior guide. He is more affectionately known as Uncle Tony, and is a former academic with extensive international experience and degrees in history and comparative education. An active octogenarian, Uncle Tony has vivid memories of World War Two and is interested in the way people in Singapore coped with wartime shortages, just as his own family did during the war. Uncle Tony is a treasure trove of botany fun facts and hopes to use his knowledge to increase awareness about the importance of plants and their impact on people. Bollywood Veggies is a sanctuary away from the bustle of the “Little Red Dot”. 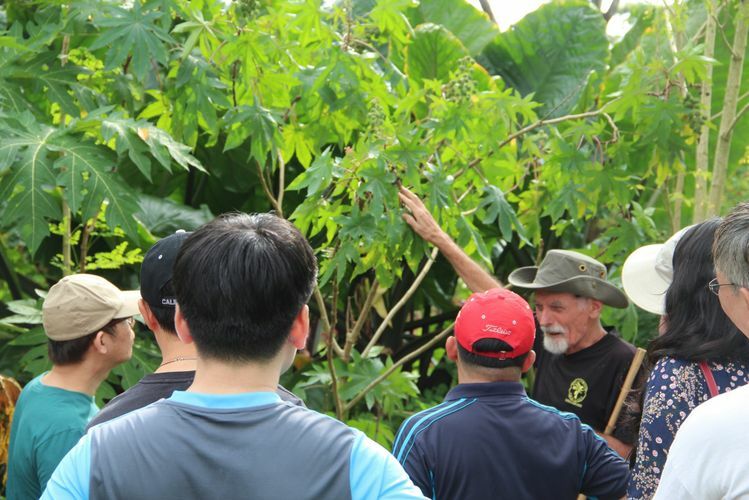 Set in the rustic environment of the northwest Kranji Countryside, the 10-acre farm is home to more than 500 plants. It’s produce is planet-friendly—meaning no chemical fertilisers, pesticides, growth hormones, or genetic modification. Visit this “fresh” side of the island, rejuvenate your senses, connect with friends and family, and enjoy the simple pleasures of real food and the good old days.